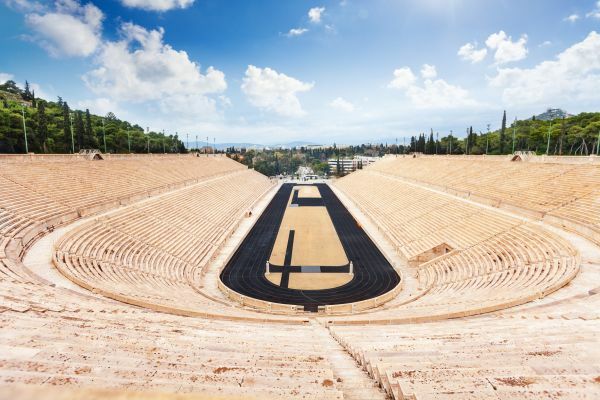 When you arrive at the Acropolis & Parthenon (bus Stop A7) interchange you can Hop-On to our Bus for the Athens Line and do the historical centre (duration 90min). Frequency EVERY 15min. 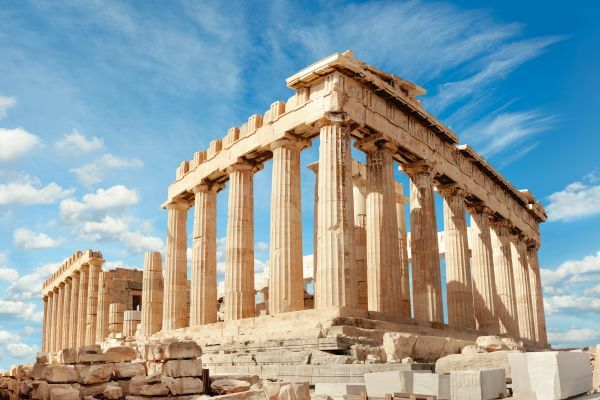 To visit the archaeological site of Parthenon allow about 30-45 minutes. The tours provide the perfect way to see all the best sights and attractions in each city. Meeting Point : Bus Stop A7 Acropolis/Parthenon (Summer Season). FREE WiFi on board of all our buses. 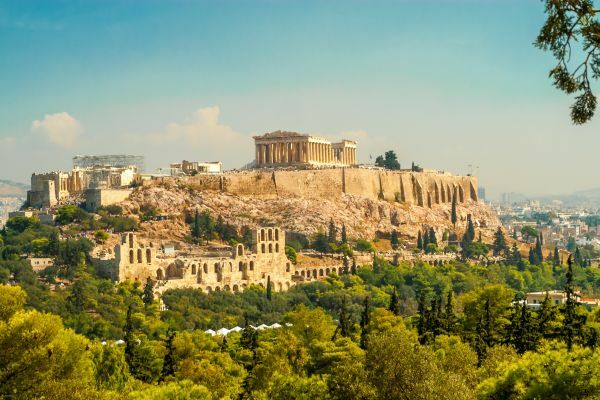 10% DISCOUNT on any CitySightSeeing worldwide by presenting your Athens ticket. 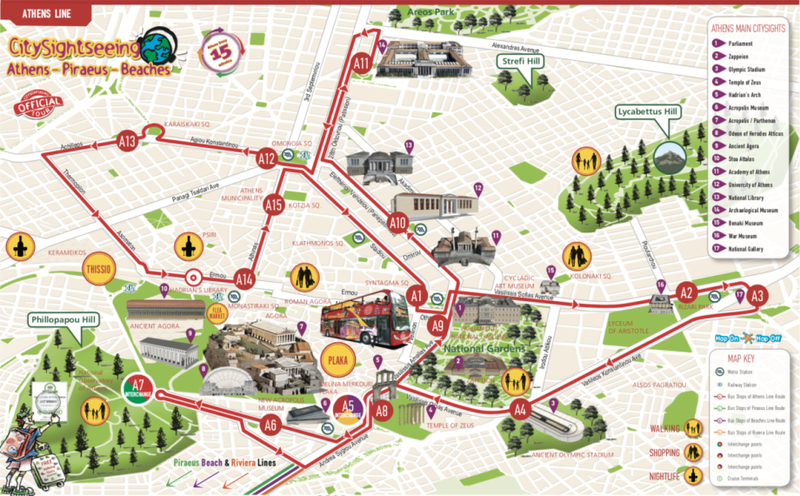 REDUCTIONS on several private museums and various shops by presenting our bus ticket. 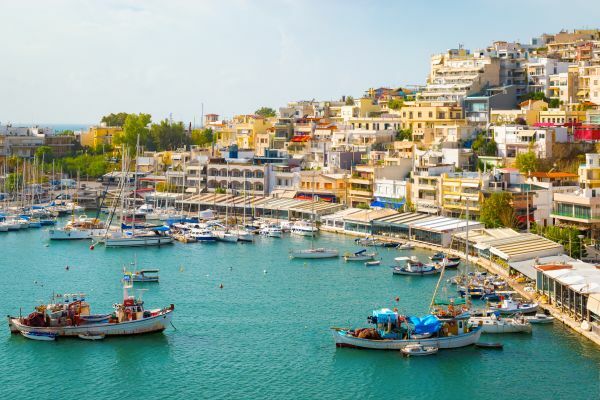 If using the Riviera Line and you use the Vouliagmeni Thermal Lake, Stop B7, your ticket will give you a 3 euros reduction on the entrance fee and a 15% reduction on the food ( NB: Show your ticket to the waiter upon ordering).